I had a choice of which night to go and see them at the Tate and I chose The Man-Machine, but for this I chose Radio-Activity. I think I chose it because I was trying to think of records that work as complete albums and the mood of this record as a whole is perfect. I’d say it has more in common with the classical music here than it does with some of the pop or rock records, because they are more a collection of songs that are put together, whereas this is more like classical music where you have a motif that repeats itself at different points over the course of the larger piece of music, which is why albums are so wonderful because you listen to them as a whole! Man-Machine is a great pop record probably even Computer World is more pop. The reason I picked this is that we’re back to this melancholia. There are a few pieces of music that make me feel that – how can I put it – I have a strong physical response to. 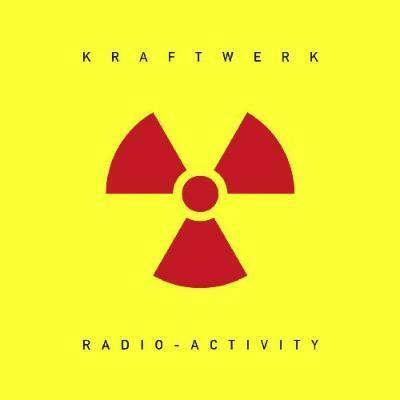 Whenever I listen to Radio-Activity, every muscle in my body slackens and the blood becomes thinner and more fluid in a really beautiful way. It’s almost as if you are relaxing and giving yourself over to the melancholy you feel, but you try to deny in everyday life, but when you hear this music, it allows you to acknowledge it. The other thing I love about this record is that the vocals are very open and unconsidered. Ironically for a band that has such a high conceit about them, the music is very pure and very human. It’s a classic distraction technique as if to say, “Don’t look at these emotions, look at this technology”.